Welcome to TouringPlans’ Walt Disney World February 2017 preview – how are your resolutions going? I still have a few in the running and I bet you do too. Maybe they even include a trip to Walt Disney World. Way to go, us! Who’s ready to jump into February with both feet? Read on. Low humidity, not too much rain. You may not be spending too much time in the pool in Florida in February, but it’s all around pleasant. Be prepared for chilly mornings and evenings by packing layers. Both Brian and Angela are hosting regular Live Q&As. Make sure you follow our Facebook page and Twitter for the exact times and topics. You can also reach out to our fabulous hosts with questions or ideas for chat topics. 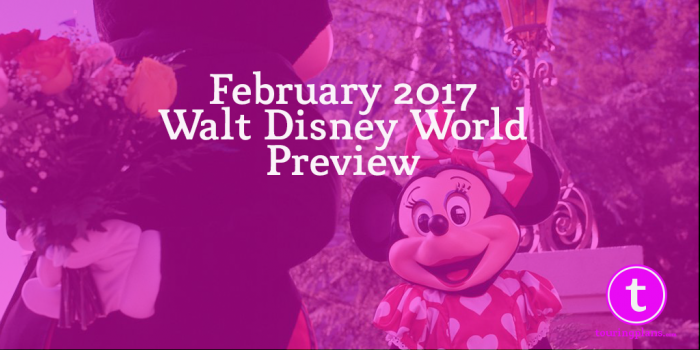 February is not a bad time to travel to Walt Disney World. With the exception of President’s Day week/weekend, we see manageable crowds all month long. Do check your park hours this month. There are days when Magic Kingdom will close as early as 8PM and Hollywood Studios as early as 7PM. Epcot and Animal Kingdom have consistent hours all month with Epcot always closing at 9PM and Animal Kingdom at 7PM. Every day a there will be a park with morning Extra Magic Hours, evening Extra Magic Hours, or one of each (Fridays). Read more about Extra Magic Hours in our Walt Disney World Basics. It’s always good to notice that the first half of the month is Value ticket pricing, which means Disney expects lower crowds. Saturday the 18th is the first day of Peak pricing, with a one day ticket to Magic Kingdom costing you $19 more that a visit the day before would. Confused about seasonal ticket pricing? Read this article from when it was first announced. For day by day park recommendations for travel during February, check out our Crowd Calendar. You may still be able to get your dining reservation for the 14th, but don’t hesitate any more unless you want to have your romantic dinner at 5:00 or 10:00. Look for commemorative merchandise of the pink and red variety this month. Be prepared for the highest crowds of the month over this long weekend. Festival of the Arts continues this month and it’s a big hit with visitors. A tribute to all the arts, but mostly culinary, Festival of the Arts lets you enjoy Broadway entertainment, the visual arts, and of course the food and wine booths that seem to be required year round at Epcot. Not that we’re complaining. Some of these actually look to be a cut above. February 3-6: Kerry Butler and Kevin Massey with songs from Disney’s Aladdin, Beauty and the Beast, Newsies, and Tarzan. You may remember Kerry Butler from Broadway or her appearance on the Netflix Gilmore Girls reboot, but she’ll always be Crazy Claudia from One Life to Live (RIP) to me. February 10-13 and 17-20: Kissy Simmons and Alton Fitzgerald White with songs from Disney’s Aida, Aladdin, The Lion King, and The Little Mermaid. Showtimes are 5:30, 6:45, and 8:00 PM; and dining packages with seating are offered. After Hours is back at Magic Kingdom on the 2nd, 9th, and 16th. I know a lot of people are surprised this returned given how few tickets were sold last year. I have to say, I really enjoyed the event when I went. Also, February is the last month for the “test” cabanas in Tomorrowland. It’s Princess Half Marathon Weekend time! Best of luck to everyone participating in the February 23 – 26 event which includes kids’ races, a 10K and a half marathon. Registration for all races (except the first kids’ race) is sold out. Free Quick Service Dining with purchase of non-discounted room and tickets. Book through February 12 for travel May 30 to August 24, 2017. Book by February 26 for travel February 20 to June 10, 2017. Book by March 30 for travel April 9 to June 10, 2017. Fun & Sun – requires room and ticket purchase, minimum 4 nights. Disney quotes $1969 at an All-Star Resort for 4 nights and 5 day base ticket for “family of 4” (that’s 2 adults, one 10-17, and one 3 to 9). Kindermoon (which is a configuration of Fun & Sun) – requires room and ticket purchase, minimum 2 nights. Disney quotes starting price of $987 for 3 nights at an All Star and 2-day base tickets for a party of 2 adults and one 3-9 year old. Also includes a FastPass+ voucher for Disney Junior Live on Stage, and choice of voucher for Dumbo, Monsters Inc. Laugh Floor, or Mickey’s Philharmagic. Book by March 5. Travel through May 26. Ticket expires 14 days from first use. Admission is blacked out April 10 -21. Florida Resident Discount: Room-only discounts are available for stays through April 8. Passholder Discount: Room-only discount available for stays April 23 to May 25 and April 9 to June 10. Book by June 9. Details here (pass holder) and here (Florida resident). The Guy Fieri-helmed Planet Hollywood Observatory started serving this month. Paddlefish, in the former Fulton’s Crab House riverboat location, is primed to open soon. Watch the blog for our own Tessa Koten’s take on them soon after they open. Wow! I love this!! A great addition to the Touring Plans blog! 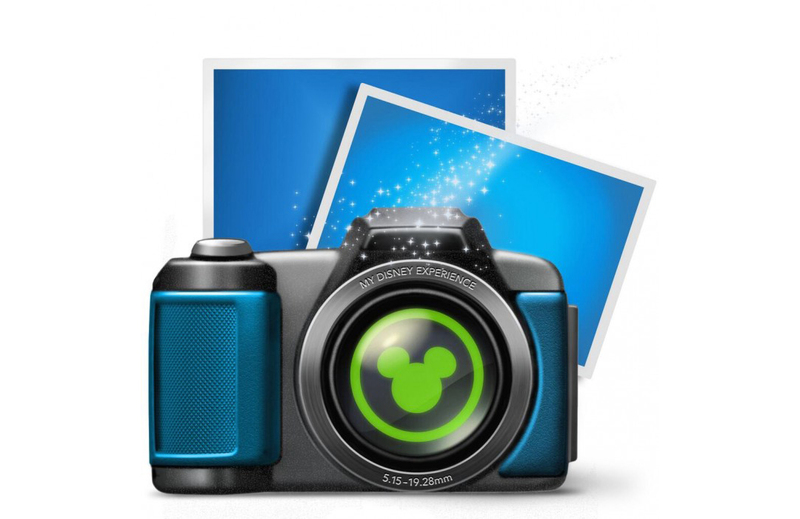 You forgot a big discount for Canadians that expires Feb 28 and the tickets never expire-I copied this from the ticket page “Canadian residents Save 25% on 4-day or longer tickets and enjoy all four Walt Disney World theme parks. To take advantage of this special offer, you must purchase your tickets in advance between September 16, 2016 and February 28, 2017. The best part? You can use these discounted tickets at any time during 2016, 2017 and beyond—they won’t expire!”. We Bought our tickets a few weeks ago but should have waited because our dollar just went up again. But with the savings I think it is still worth it.